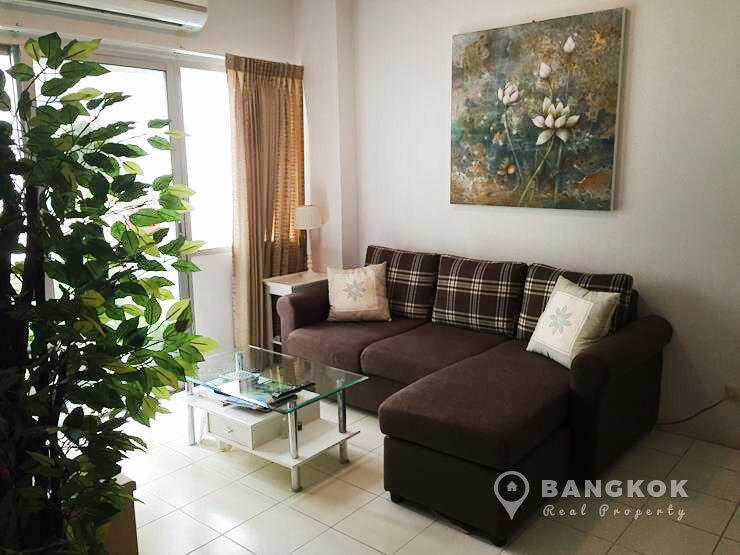 A bright, spacious and well decorated 2 bedroom unit is now available for sale at Baan Suan Lasalle. 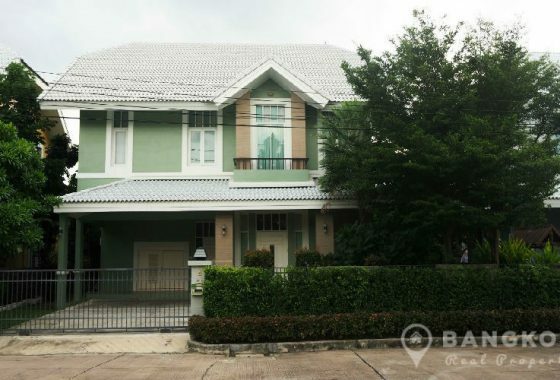 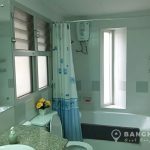 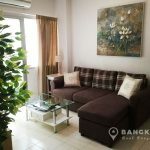 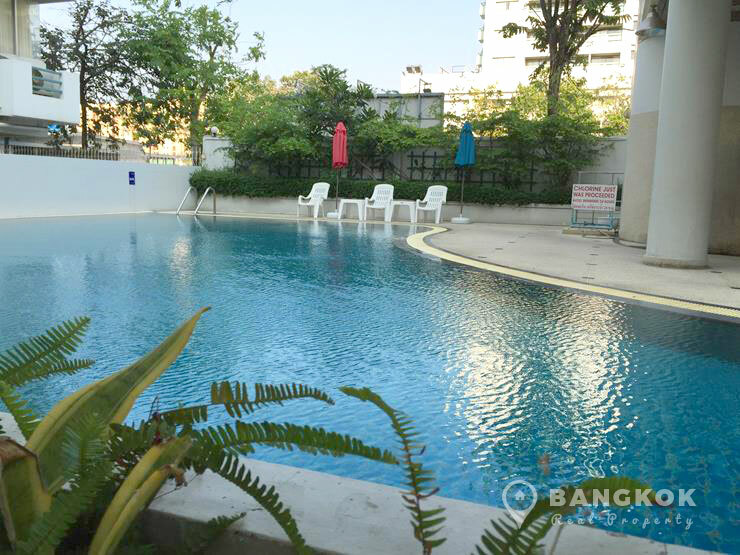 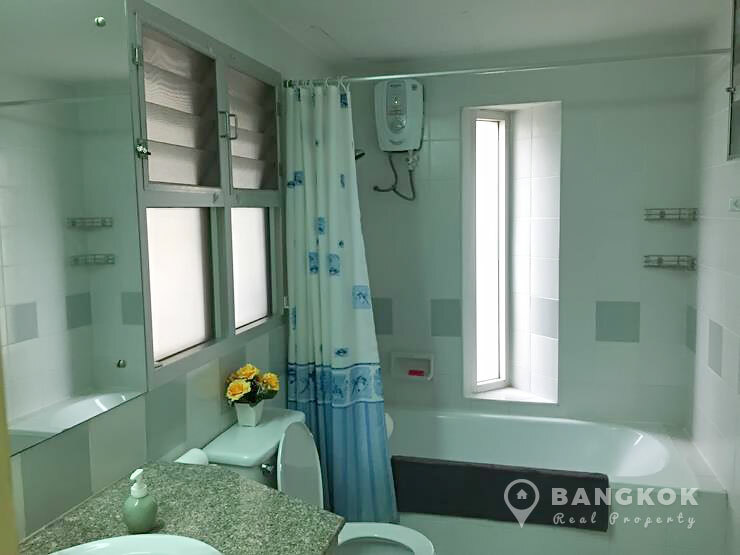 Conveniently located within easy reach of the BTS at Bearing and also with good access to Srinakarin road, this low rise development is close to Seacon Square, Central Plaza Bangna Bangkok Pattana International School Sikarin Hospital and has excellent access to Suvarnarnabhumi International Airport. 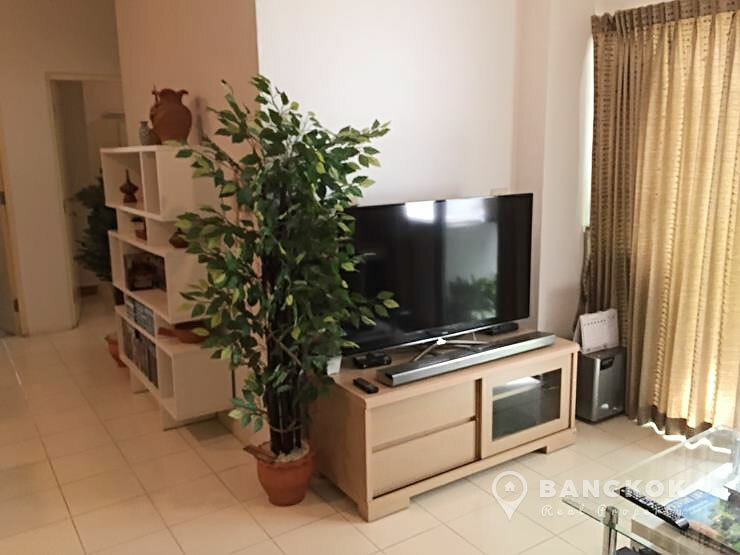 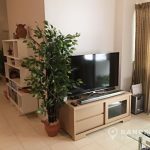 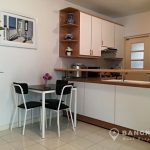 Situated on a low floor of Baan Suan Lasalle is a low rise development and this 2 bedroom, 1 bathroom unit with 60 sq.m of living space. 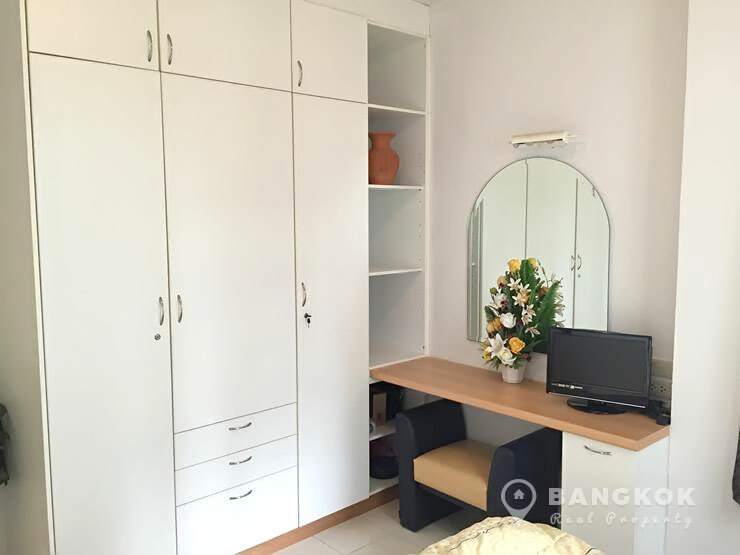 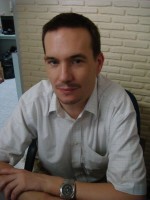 The unit is owner occupied and so is well decorated and fitted out. 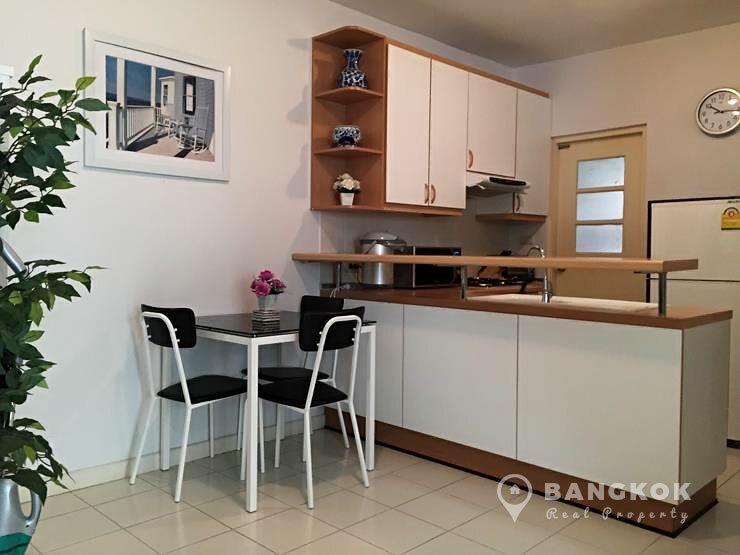 It will be sold partially furnished, with new air conditioners, washing machine and modern western kitchen with in built in units and electric hob. 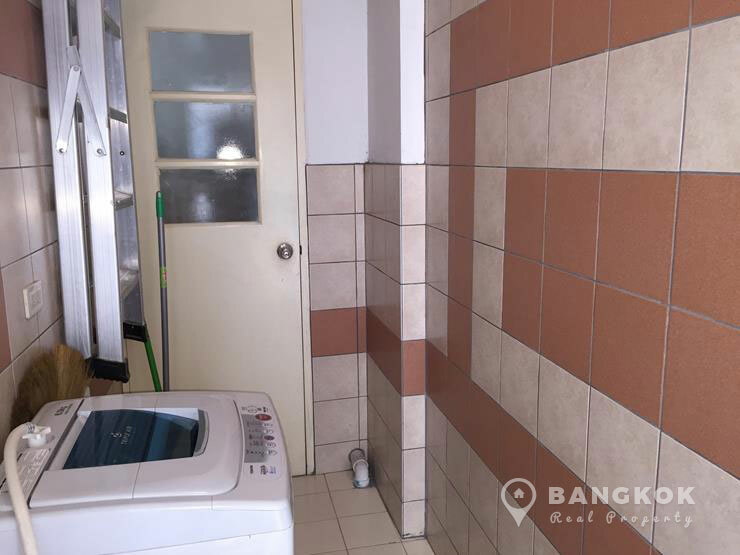 The unit also has a separate utility area and nice balcony. 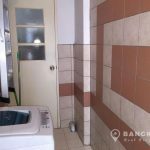 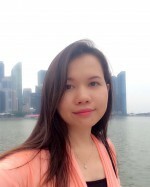 Baan Suan Lasalle is a condominium project, located just off Sukhumvit 105 LaSalle adjacent to Sikarin Hospital and easy reach of Bearing BTS station. 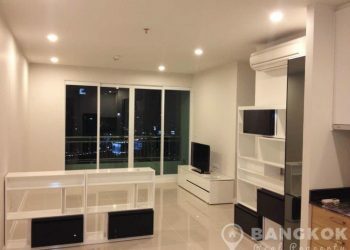 Baan Suan Lasalle was completed in 1997 and the low rise project consists of several buildings each with 8 floors with a mix of 2,3 and 4 bedroom units.